Schoolcraft College Foundation presents Dr. Conway Jeffress for a Business and Community Leaders Breakfast featuring author and international speaker Heather McGowan for an interactive discussion Thursday, February 7 at 7:30am ET. Detroit Public TV will be live-streaming the talk below. 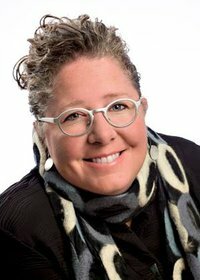 ABOUT THE SPEAKER: Internationally known speaker, writer, and thought strategist, Heather McGowan prepares leaders to most-effectively react to rapid and disruptive changes in education, work, and society. As a Future of Work Strategist, Heather has worked with diverse teams to address these challenges. She assists corporate executives in rethinking their business models, teams, and organizational structures to become resilient in changing markets while helping academic, nonprofit, and foundation leadership rethink education and philanthropy. Her clients range from start-ups to publicly traded, Fortune 500 companies, including Autodesk, Citi, The World Bank, and BD Medical. Often quoted in the media for her thought leadership in the Future of Work, Heather also serves on the advisory board for Sparks & Honey, a New York-based culturefocused agency focused on the future for brands. As a globally-known futurist, Heather helps business and academic leaders prepare their people and organizations for the Fourth Industrial Revolution. Her think tank is called Work to Learn because Heather believes that in the Third Industrial Revolution we learned in order to work and now, in the Fourth Industrial Revolution, we will work in order to learn (continuously).